Cooper was born on May 1, 1798 at St. Stephen‘s Green, Dublin, Ireland. During his education at Armagh his interest in astronomy - based on his mother's early teaching - was strengthend by J. 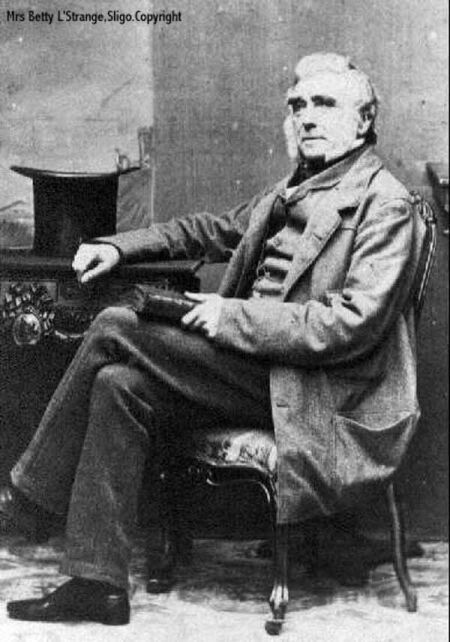 A. Hamilton, first director of Armagh Observatory. After 10 years of travelling through Europe, he studied at Eaton and Oxford, but left the university without a degree. 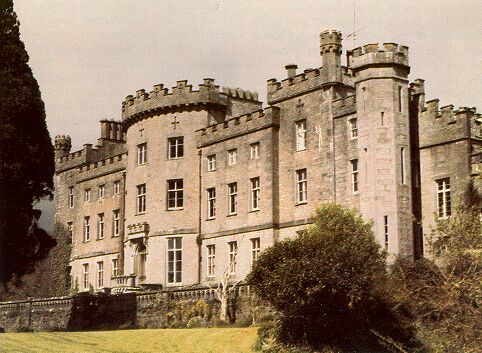 After his father‘s death in 1830 he inherited Markree Castle (see picture), near Colloney, Co. Sligo, planning to build his own observatory there. In 1831 he purchased a 13.3 inch objective with 25 ft focal length from Cauchoix, Paris. It was the largest lens made at that time and costs 1200 pounds. After a first Herschelian mounting, the telescope was aquatorially mounted in 1834 by Thomas Grubb, Dublin. Having no dome the cast-iron instrument was exposed in the open air to the winds and rain over many years, much like Herschel‘s and Lord Rosse‘s great telescopes. At its time Markree Observatory was seen to be „undoubtedly the most richly furnished private observatory known" (MNRAS 11,104, 1851). Cooper‘s most famous scientific work was the Catalogue of Stars Near the Ecliptic Observed at Markree („Markree Catalogue"), compiled between 1848-1856 using the large refractor with a quare bar micrometer and an eye-piece of magnification 80. It contains places for 60066 stars down to the 12th magnitude with an error of around 4". The work was published in Dublin in 4 volumes (the corresponding star charts were never published and presented to Cambridge Observatory after Cooper's death by his daughters). Cooper was assisted by Andrew Graham (1815-1907). 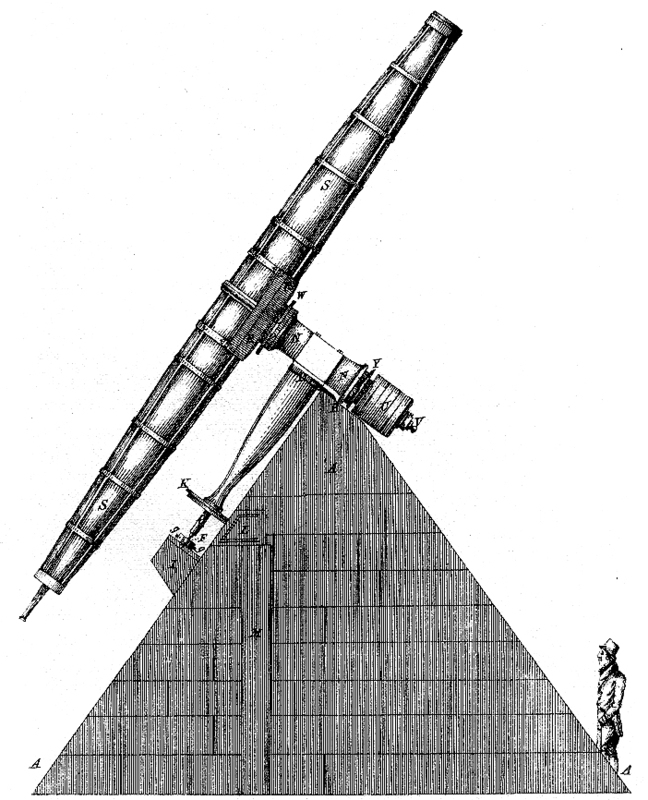 It was Graham who discovered asteroid (9) Metis on April 26, 1848 with a 4.2" comet seeker (see picture). Cooper found only one comet (Feb. 1845). The Markree Catalogue lists 8 nebulous objects (found in 1852-55); they are also listed in Auwers, William Herschel's Verzeichnisse von Nebelflecken und Sternhaufen, Königsberg 1862. Seven where included by Dreyer in the NGC and credited to Cooper, but none turnes out to be non-stellar. However, the eigth object, NGC 4989 (Auwers 31), is a galaxy in Virgo. Unfortunately, it was discovered much earlier by William Herschel. Cooper continued to observe almost up to his death, which occured on April 28, 1863 at Markree Castle at the age of 64, shortly after loosing his second wife, to whom he was deeply attached. The observatory remained uncared until May 1, 1874 when W. Doberck was appointed director. He was succeeded by Albert Marth (1883-1898). The observatory was used intermittently until 1902 . 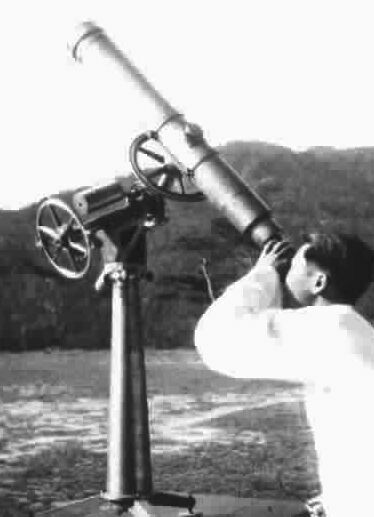 After closing down the 13.3" refractor went to Honkong Observatory where Doberck was Government Astronomer from 1883. After bombing in 1941 the instrument was moved to Manila, where the objective was used in a Littrow spectrograph for solar work in 1989.